An impressive residence in the upscale Carlton Woodscommunity within The Woodlands, TX has been scheduled for sale via luxury auction® on August 18th. Recently asking $6.75 million, the property is now being auctioned without reserve, meaning that the highest bidder will become the new homeowner regardless of the bid amount. 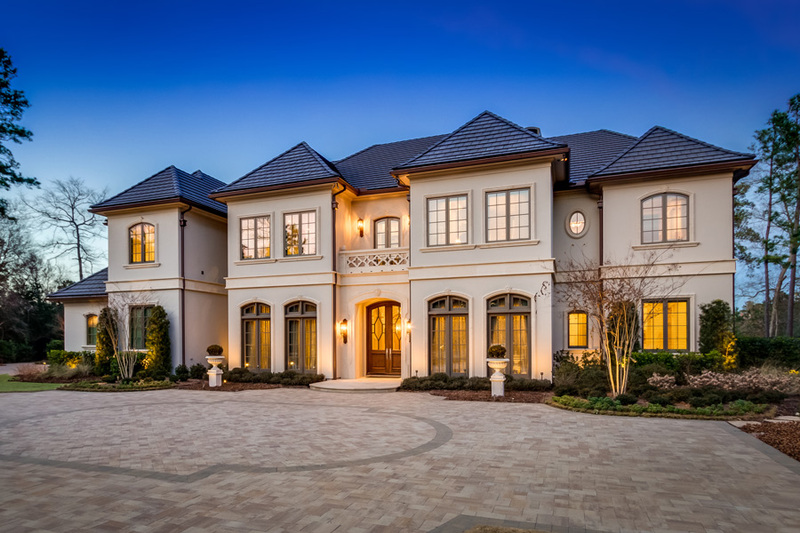 Luxury real estate auction house Platinum Luxury Auctions, which previously produced the Woodlands’ record sale of $7.1 million in 2016, is working in cooperation with veteran listing agent and top-producer Beth Ferester of Beth Ferester and Company for the transaction. On July 28th, a luxury home in Ridgefield, CT with a home automation system that has garnered exposure in media outlets such as Bloomberg BusinessWeek, Archi-TECH Residential and Tech Home Builder, will be sold at a live auction. Although once asking $4 million, the residence will now be sold without reserve, meaning the highest bidder will prevail, regardless of the high bid amount. The property owner, John Russell Patrick, retained Miami-based auction firm Platinum Luxury Auctions to handle the sale. Platinum is working in tandem with the property’s listing agent, Harry “Chip” Neumann, Jr. of Neumann Real Estate, for the transaction. Former IBM Vice President John Patrick’s Whipstick Road home in Ridgefield will be auctioned off by Platinum Luxury Auctions on July 28. Designed by MacMillan Architects in collaboration with Phoenix Audio Video of Fairfield, the “smart house” features fully-integrated home automation. Check out the full Habitat article by Anna Quinn here. A Home with Attitude: 117 Whipstick Road Goes to Auction on Saturday, July 28 at 4:00 pm. Automation behind the scenes makes this stunning shingle style residence technology savvy (yes, it’s really [very] smart). Owned by Internet Pioneer and author, John Patrick, 117 Whipstick Road is his brainchild and brings “Home Attitude”, Patrick’s newly released book, to life. John Russell Patrick, former IBM vice president, will auction his 2.7-acre estate on July 28. The 6,800-square-foot mansion in Ridgefield, Connecticut, features fully integrated home automation, which Mr. Patrick helped design from scratch. Platinum Luxury Auctions is overseeing the auction.